Some people call it lavender blue, although it's not exactly either of these colors. It's clean, it's complicated, it's dreamy. It's periwinkle, that luscious mix of pink and blue, warm and cool, boy and girl, intense and subtle, yin and yang. My infatuation with this color started 10 years ago. A client wanted a room painted a color to match a -- get this -- chip of paint from a door in France. He carried it all the way back to North Carolina in his wallet. I matched it, and it looked fabulous. Client loved it. I loved it. I tend to be promiscuous about paint colors. I can't think of any color that, given the right setting, I don't like. But periwinkle especially captured my heart. Even the name is irresistible. A cute snail and a lovely flower are named the same. I didn't see much of my new love, but then, a few years after my initial fling, another client wanted her shutters painted a certain color. She gave me the Glidden name -- Periwinkle Blue. About that time, just after the turn of the new millennium, I noticed that people were wearing periwinkle blue tee-shirts. Then I saw periwinkle letterheads, bathing suits, fleece jackets, umbrellas, garden gloves, Crocs! My favorite color had become a trend. Rats! Nothing like a fad to ruin a good thing. However, I'm glad to report that before the market was saturated with my beloved periwinkle, the trend subsided. I recently learned that the color blue is the wold's most popular color. Of course there are a gazillion blues out there. Just watch the sky change colors or stand in front of the paint chip displays at your home improvement center. 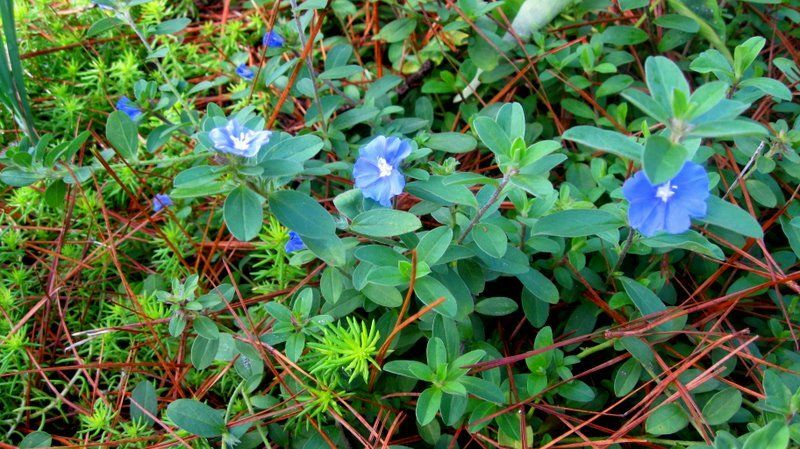 Vinca minor, a low-growing perennial flower plant with glossy green leaves and almost star-like, sparkling blue flowers, is named after the color itself. Periwinkle can be pale, like the walls in the Better Homes and Gardens bedroom walls at the top of this post. That much periwinkle in one room is probably off-putting in a staged home. We can't assume that people want to be surrounded by this purple/blue. Or it can be more intense, like the fabric swatch left. Each paint company has its own name for this delicious color, and there will be variations. Some have more pink, more grey, or more white. Benjamin Moore calls it Brazilian Blue. 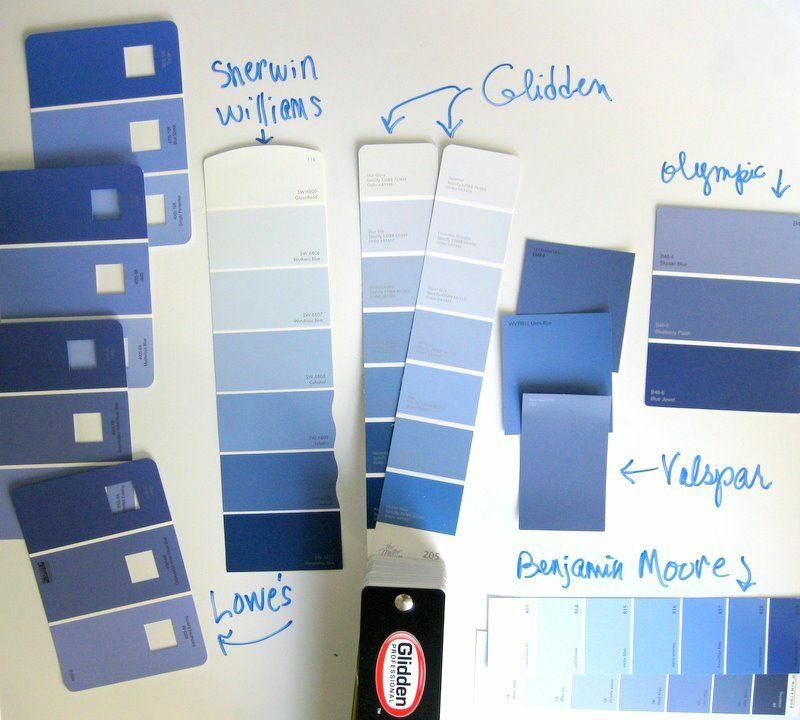 Valspar says it's Ultra Blue, and Sherwin Williams names it Lobelia. These color samples demonstrate the range of blues in what I will call the Periwinkle Family. If you want more advice on choosing colors for staging, download my $4.99 eBook, DIY Home Staging Tips to Sell Your Home Fast and For Top Dollar. If your home is on the market, it just doesn't make sense to go it alone when I can hold your hand every step of the way, from curb appeal to organizing closets, and everything in between.